Whew! What a exciting, colorful and quilt-filled week it has been at AQS QuiltWeek Chattanooga! Although the AQS show is over and the quilts are boxed and being transported back to owners or to future shows, there are still several quilt exhibits in Chattanooga to enjoy! Tennessee Temple University's Student Union: 35 quilts (8 from the 1800s), African textiles, UGRR arts and crafts, free fabric swatches. Through September 17. 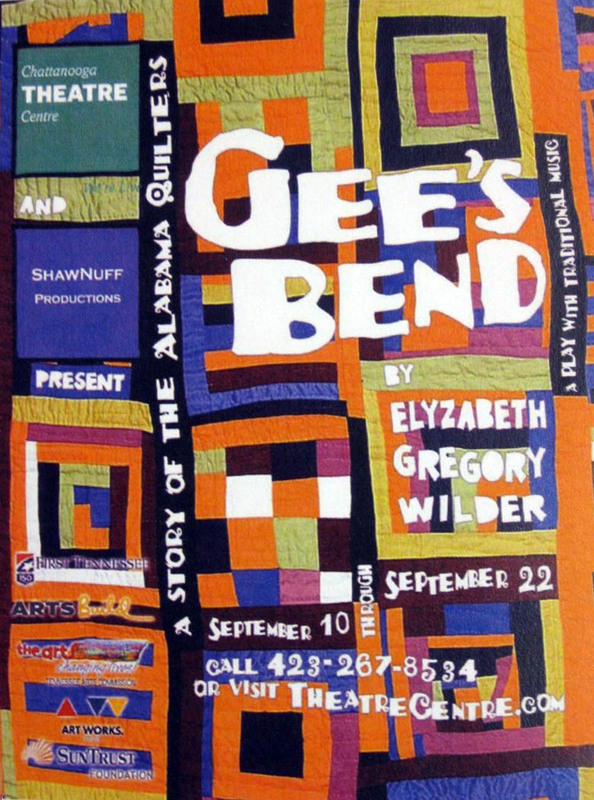 Gee's Bend performances and Gee's Bend inspired quilts at the Chattanooga Theatre Centre through September 21. Sampling of quilts by Kaffe Fassett and other quilts at the Houston Museum of Decorative Arts through the end of September. Association for Visual Arts (AVA): Needle and Thread exhibit through October 24. Bessie Smith Cultural Center: Textile: Quilts from the Zuri Quilting Guild through December 5.